November Birthstone Bracelet from Molly Brown's classic Birthstone Collection. 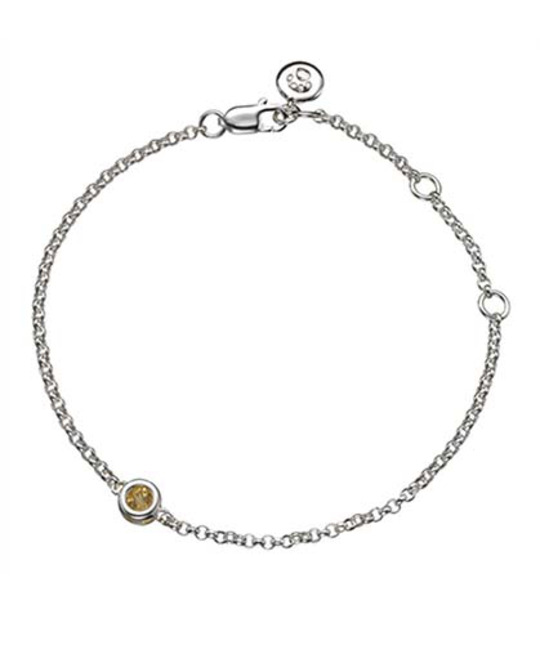 A beautiful genuine citrine gemstone set within a sterling silver belcher chain, featuring the instantly recognisable Molly Brown logo tag. The bracelet measures 19cms and is adjustable at 15cms and 17cms to fit most wrist sizes. Birthstone jewellery is a personal and thoughtful gift, and this simple and yet sophisticated design makes a perfect Christening gift or birthday gift. SILVER CARE: Polish with soft cleaning cloth. Best stored in a plastic sealed bag, to avoid exposure to oxygen and moisture.